The exhibition Five Bhobh – Painting at the End of an Era opened at Zietz MOCAA in September 2018, featuring twenty nine artists from Zimbabwe. Shaw is a multi-disciplinary artist whose digital drawings, paintings, and sculptures explore the effects of the country’s political mile-stones, land-reformation, trauma, and violence. 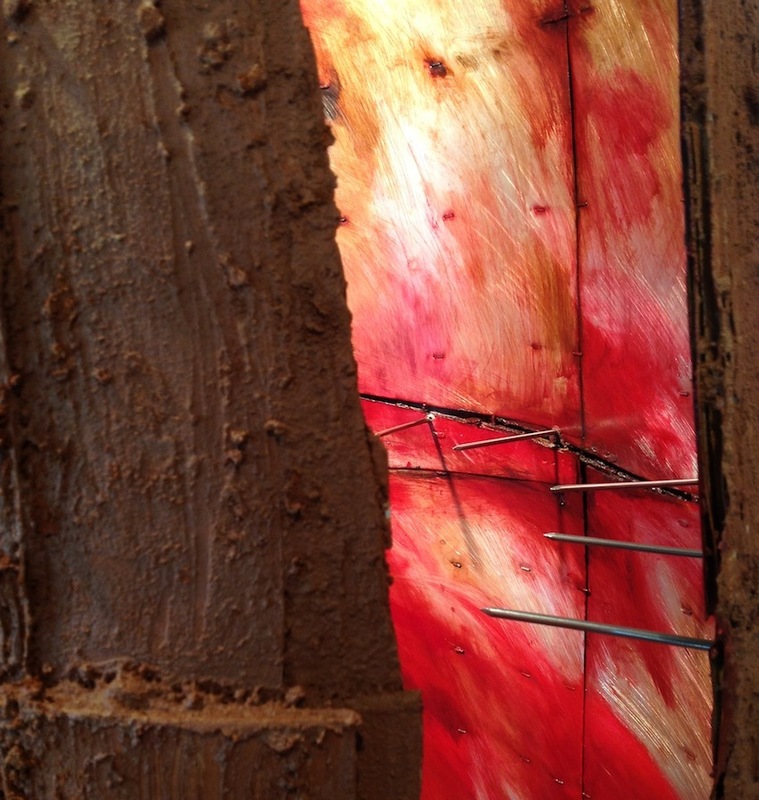 We see this in works like Legacy: Red Fence (2017) and The Last Post and other Democratic Structures(2018), where the artist uses combinations of mud, wood, wire, aluminium, paper, oil, nails, and bolts to create abstract, symbolic references to power and violence. As the titles suggest, these are all materials commonly associated with fences — man-made structures that are designed to protect or designate territory. At the same time they are divisive markers that speak to continued histories of conflict, violence, and exclusion; of frontier wars and enforced boundaries. LEGACY: THE RED FENCE, 2017. Oil, wire, paper, and aluminium. 149 x 123 cm. BLACK FENCE, 2018. Oil, soil, wire, paper on canvas. 145 x 96 cm. The Last Post, and other Democratic Structures (a work in progress), 2018. Oil, Wire, Nails and Bolts on Wood. Heights, 218cm and 197cm.